Skin cancer is a common type of Cancer and different types are found. The presence of a lesion or nodule or mass over the eyelid that grows, bleed or ulcerates should be examined and evaluated. This could be Eyelid Cancer! This may sometimes even require a biopsy. The skin of the eyelids is the most sensitive skin on our body, and the thinnest of all. In spite of having a small surface area, up to 10% of all skin cancers take place on the eyelids. 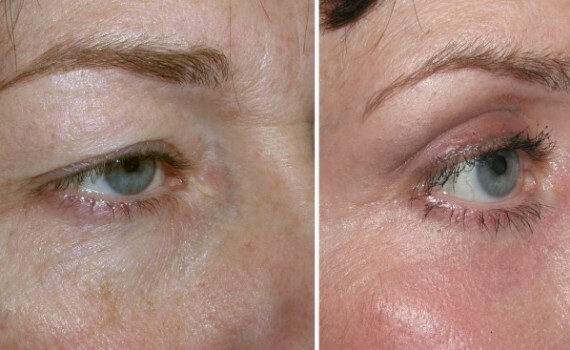 Often times, eyelid area is the first region on the face to show alteration from ageing and sun damage. With their delicate, thin structures, the eyes and the region surrounding them are susceptible to cancers. And this is the most neglected area since people tend to forget to protect it from the sunlight. Most eyelid cancers occur on the lower eyelid, since it receives the most amount of sun exposure. In the Caucasian population, of all the eyelid cancers, about 90% are basal cell carcinomas, whereas 5% or more are squamous cell carcinomas, and 1-2 % are melanomas. 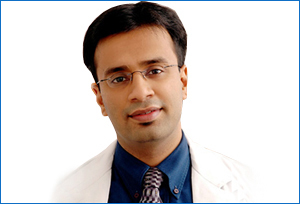 In the Indian population, Sebaceous Gland Cancers appear to be much more common than in the Western population. Therefore the division of cancers in this demographic population are Basal Cell Cancers – 50%, Squamous Cell Cancers – 20% & Sebaceous Gland Cancers – 25%, with Melanomas & other variants like Merkel Cell Cancers constituting the rest. What are the different types of Eyelid Cancers? Basal Cell Carcinoma (BCC): This type of cancer represents about 50% of the eyelid tumors. These mostly manifest as a pearly nodule that in due course starts to break down and ulcerate. The cancer cells grow gradually over a period of months and years. In spite of being a cancer, these tumors do not spread to distant regions but instead remain growing and infiltrate the adjacent tissues. These cancers are most likely to affect the lower eyelid. Sebaceous Gland Carcinoma (SGC): These forms of cancers occur in the glands of the eyelid. SGCs are most likely to affect women than men and majority of the times, occur in the old age. Being relatively rare type of cancers, these mostly occur on the upper eyelid, then affecting lower eyelid, followed by caruncle. SGCs may mimic benign conditions and are many times diagnosed at a later stage. Since SGCs occur in more than one place on the eyelids, they may have a tendency to relapse after treatment. Squamous Cell Carcinoma (SCC): These types of tumors are rare, and account for about 20% of all the eyelid cancers. SCC may occur from precancerous conditions, like actinic keratosis or Bowen’s disease. SCCs are commonly associated with exposure to sunlight and sun damage. These are aggressive tumors and are most likely to get spread to distant regions unlike BCCs. Malignant Melanoma: Being the most uncommon cancers of the eyelid, melanomas account for only 1% of all eyelid cancers. These are malignant tumors that commence in the melanocytes. Melanocytes make melanin, which is a pigment imparting eyes & skin their colour. As the name suggests, these tumors have a tendency to spread, or metastasize, or other parts of the body. Merkel Cell Carcinoma: This type of a cancer is one of the rarest varieties. It is an aggressive tumour and originates from the touch receptors in the skin of the eyelid. It usually manifests as a flesh-coloured or a purplish mass and it generally tends to grow rapidly. How are the Eyelid Cancers treated? Skin Cancer is required to be removed with the help of surgery by a skilled Plastic Surgeon who can not only remove the tumour but also reconstruct the eyelid or region where the tumour was eliminated. In a simple surgical removal, the lesion is cut off with a small margin of healthy tissue. The healthy tissue is eliminated to assure that abandoned cancer cells are removed. Mohs micrographic surgery technique is particularly beneficial in treatment of eyelid cancers. The lesion is removed layer by layer. Until a cancer-free tissue is reached, the layers are removed. Such a slow procedure helps in preserving healthy tissue and results in better cure rates and cosmetic outcomes post surgery. When a disfiguring scar is left behind as a result of the surgery or when the surgery involves elimination of a significant part of the eyelid, reconstructive surgery can greatly enhance the function of the eyelid and its cosmetic appearance. An Oculoplastic Surgeon performs this type of surgery. Tenzel flap: This method involves the rotation of a semicircular musculocutaneous flap starting from the lateral canthus, extending upward in a semicircular fashion. The flap is designed depending on the size of the defect and where it is situated, and it must extend above the lateral canthal angle so that the lower eyelid is elevated at the time of wound healing. Once the flap is rotated into position and stitches made, adequate lateral canthal fixation must be achieved. Conjunctiva from the inferior fornix should be advanced or rotated into position so as to cover the posterior surface of the skin muscle flap. The final step is closure of the skin of the semicircular donor site. Mustarde flap: This large skin muscle flap is rotated from the cheek to repair large lower eyelid defects. Incision is taken at the lateral canthal angle, extending upward onto the temple, and swings backwards just anterior to the ear and then inferiorly across the mandible. This flap should be maintained at a good so the correct position of the lateral canthal angle can be achieved post-surgically. The posterior lamella of this flap must be reconstructed with a free tarso-conjunctival graft, a nasal septal cartilage graft, or with mucous membrane. This technique uses a full-thickness segment of lower eyelid tissue that is passed under an intact bridge, the lower eyelid margin. A full-thickness lower eyelid flap is sutured into the defect in the upper eyelid. Other treatments include Laser treatment, Cryosurgery, systemic chemotherapy, etc. Eyelid cancer prevention can be easy – and stylish. –Wearing sunscreens – SPF 15 or higher sunscreen daily and using moisturisers for skin. -Sunglasses are an ultimate fashion these days. Apart from making you look chic, they will also provide you protection from sunlight. -Using high-brimmed hats can also provide you sun-protection which will in turn block half of all UVB rays reaching your eyelids, thus protecting them from contracting cancer. In summary, despite their tiny surface area, up to 10 percent of all skin cancers occur on the eyelids. While only a small number of basal cell carcinomas (BCC’s), squamous cell carcinomas (SCC’s), and melanomas are fatal, eyelid skin cancers can cause considerable amount of damage to the tissue and blindness, and can spread into the orbital and nasal cavities (the area behind the eye). Getting the right treatment for your particular type of eyelid cancer is extremely important. In order to get the appropriate treatment, the first and foremost thing is to choose the right facial plastic surgeon!